Happy Olympics! It’s that time again, and I might as well quit my job because all I want to do is stay home and watch all this awesome competitive action. There’s just so much emotion, history, and pride, and I’m a sucker for those emotional moments. Of course I root root root for the home team (the USA) but as I may have mentioned before, Russia has always had special place in my heart, so I cheer for Россию as well. 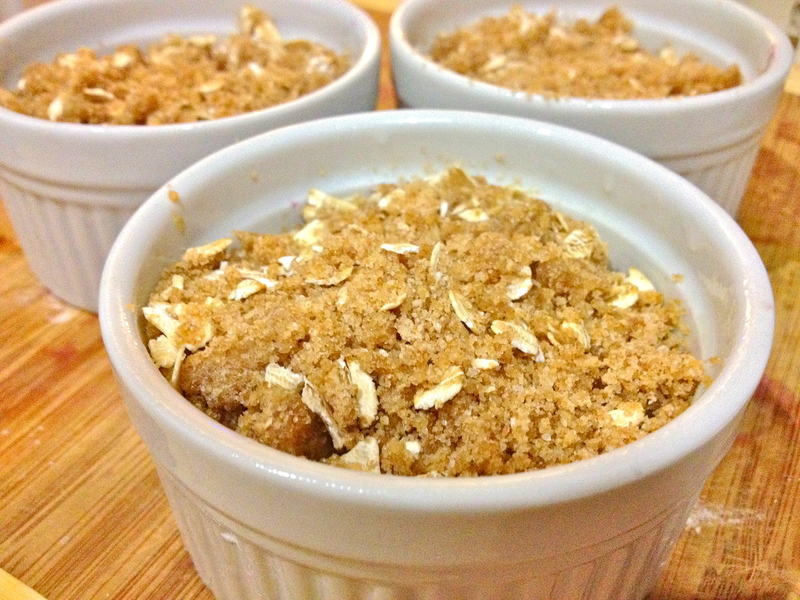 This dessert is my way of reconciling my conflicting Olympic loyalties and satisfying my sweet tooth at the same time. Cherry desserts have long been a favorite in Russia, and summer fruit crisps are an American classic, so I combined them to make one mega-patriotic Russo-American Olympic loyalty-blurring all-inclusive fruit dessert extravaganza. 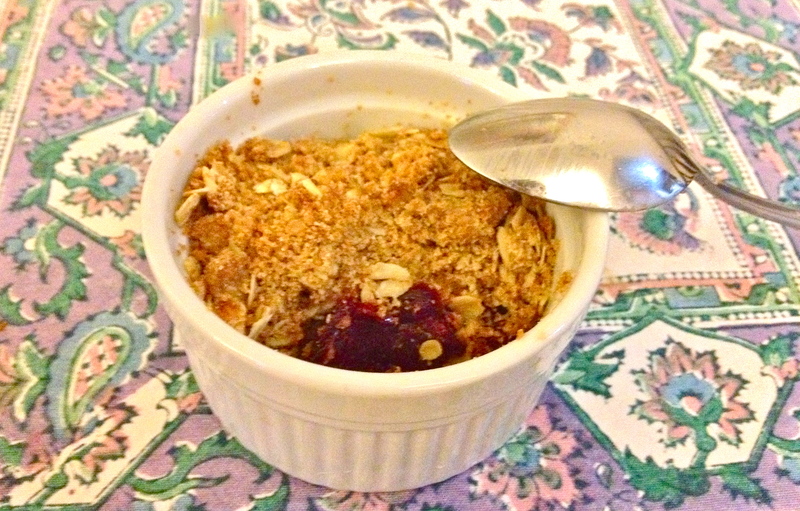 Eat some, and then get your exercise by jumping up and down cheering for your team. Go world! 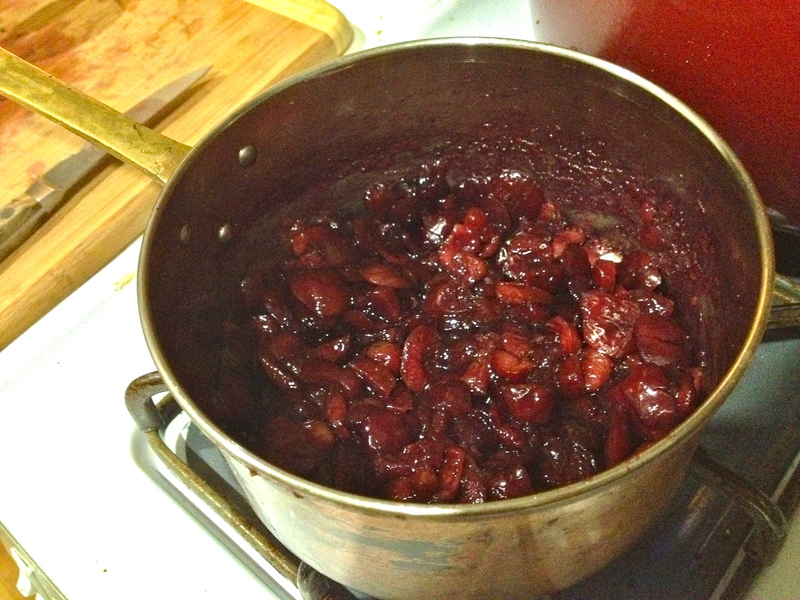 Combine cherries and 1 tbsp sugar in a saucepan and soften over medium heat for about 3-4 minutes. 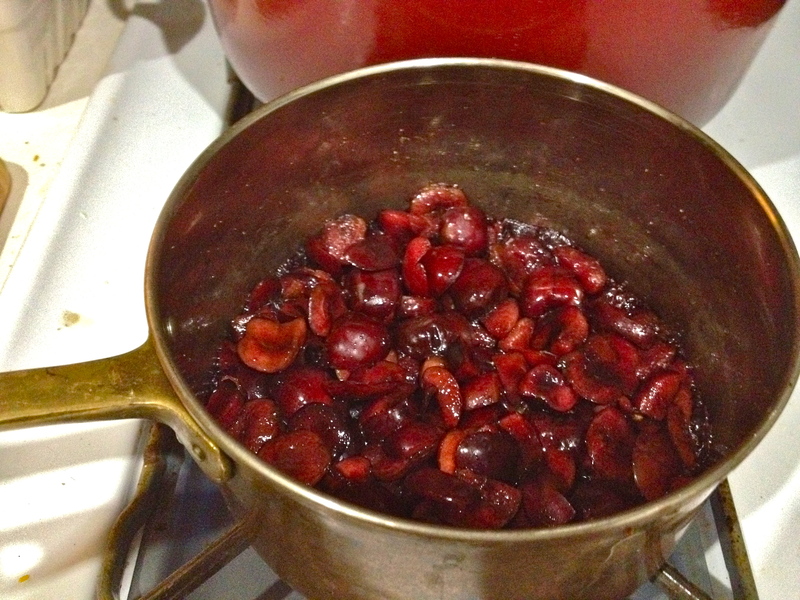 Dissolve potato starch in water and stir into cherries. 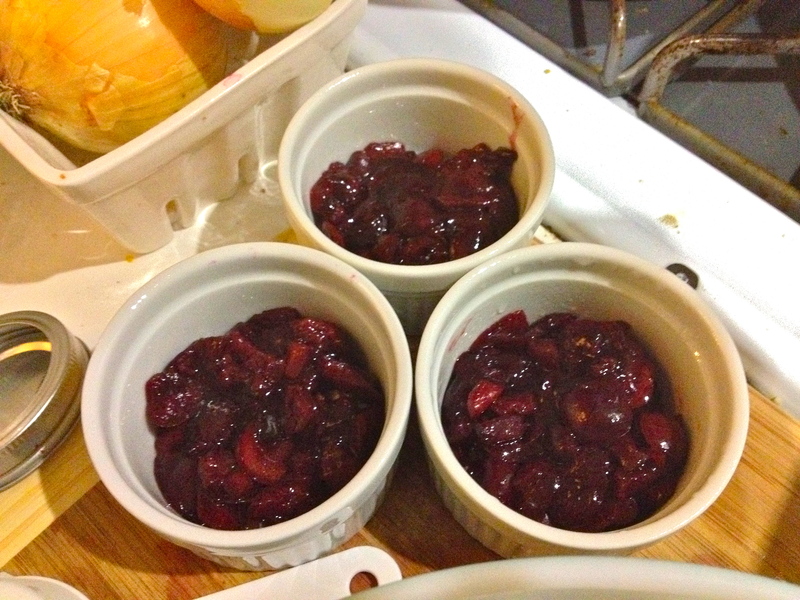 Cook another minute or so, until the cherries are soft and the mixture is thickened. 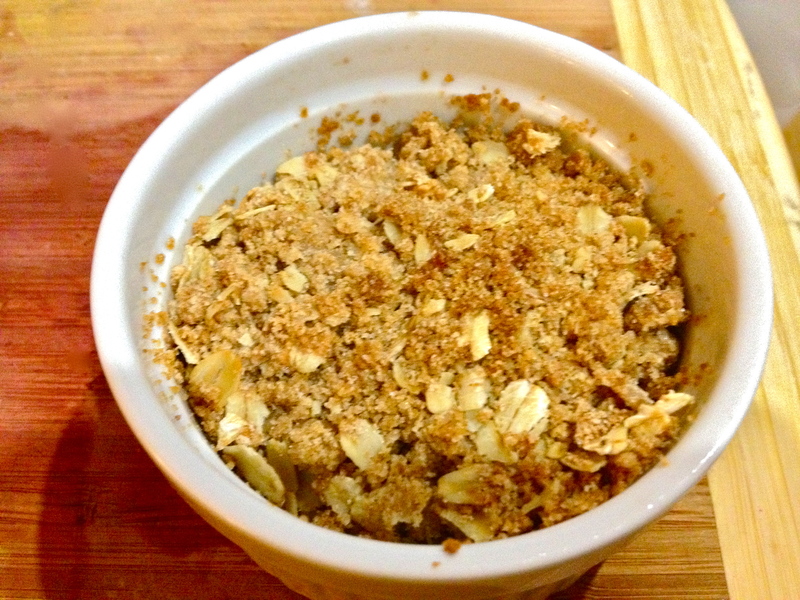 Remove from heat and spoon into greased ramekins. 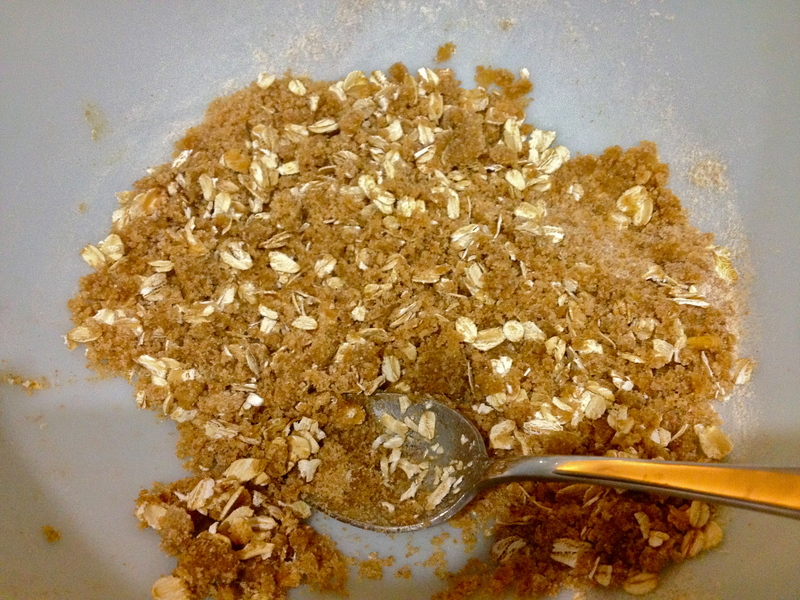 …and bake until the tops start to brown, about 15 minutes. If you’re going for the gold medal in this dessert-off, serve these hot, topped with a scoop of ice cream. Previous Corn and Cilantro Fritters.